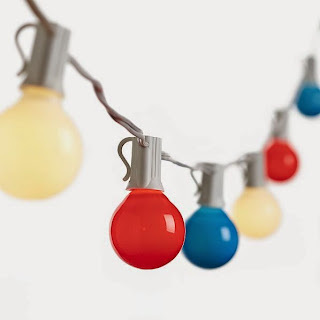 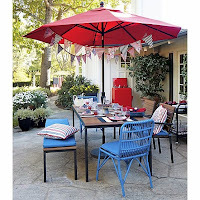 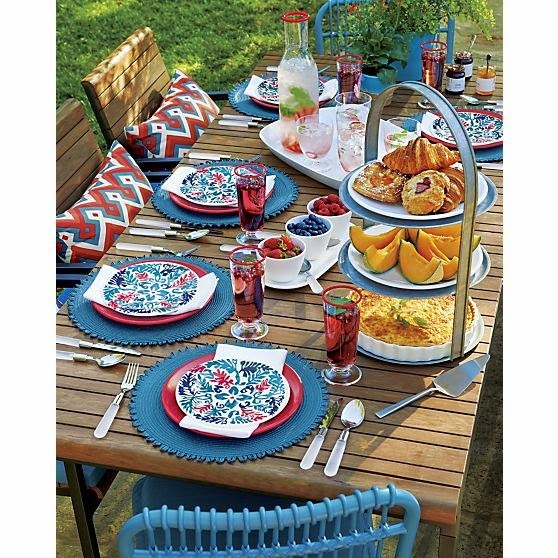 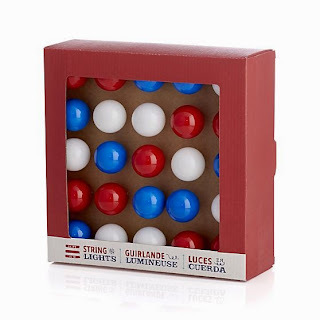 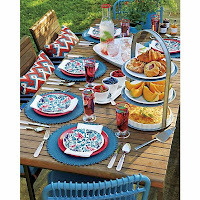 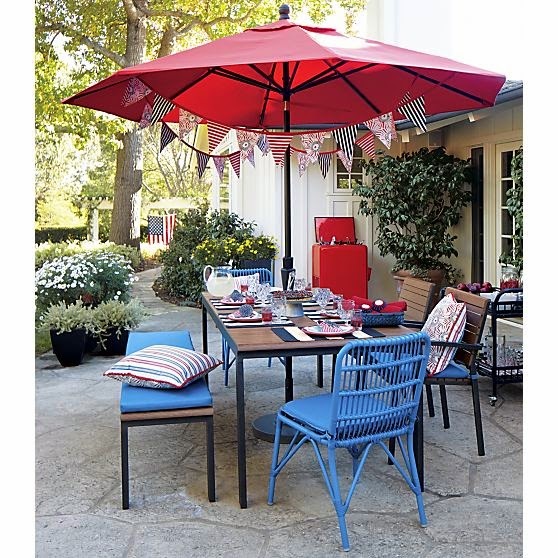 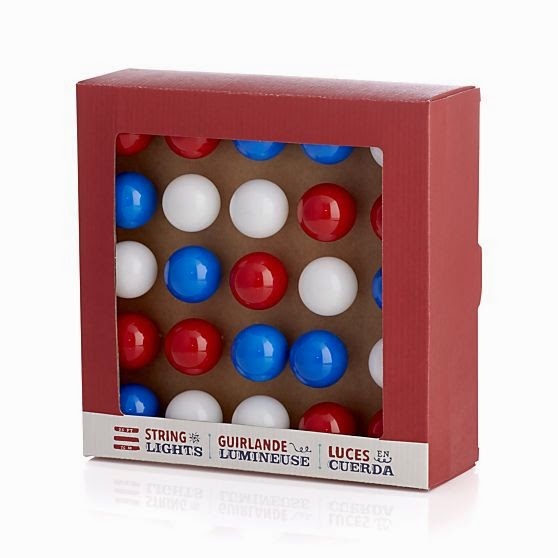 My 2014 July 4th All American RED WHITE & BLUE Picks from Crate & Barrel for decorating, dining, eating, crafting and of course Fireworking! 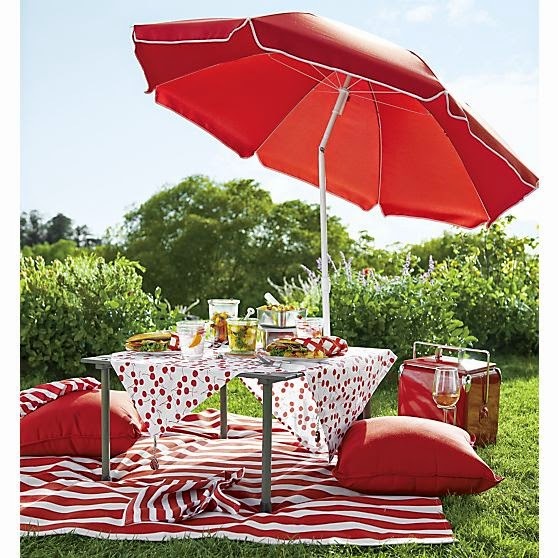 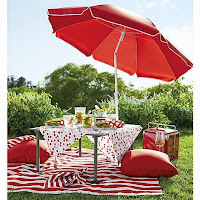 Awning Stripe Umbrella Picnic Blanket ~ Fresh awning stripe in red adds a classic, summery look to outdoor gatherings. 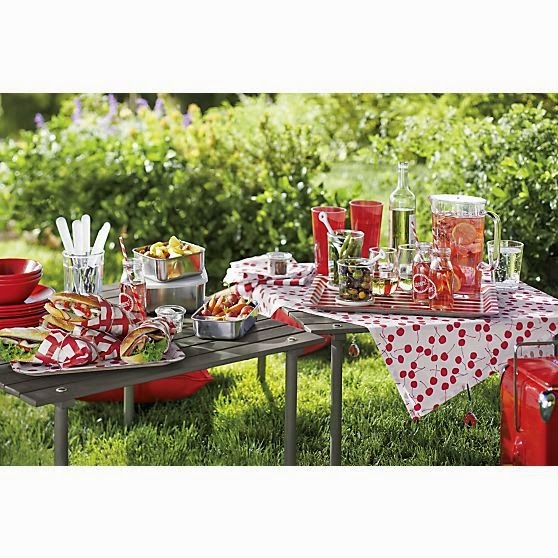 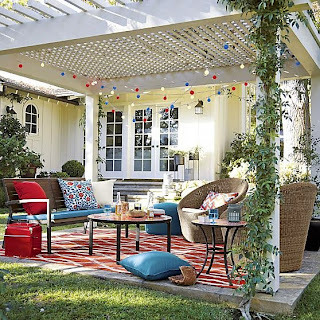 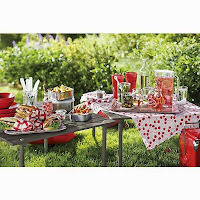 PVC-coated cotton tablecloth unfurls as a welcome spread for picnics and outdoor concerts with a grommeted hole to accommodate umbrella poles. 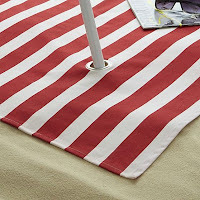 Rolls up and fastens with velcro tab tie. Vinca Blue Melamine Plates ~ Vinca vines entwine in tonal blues and red around a single bloom, adding a floral, festive note to the casual tablescape. 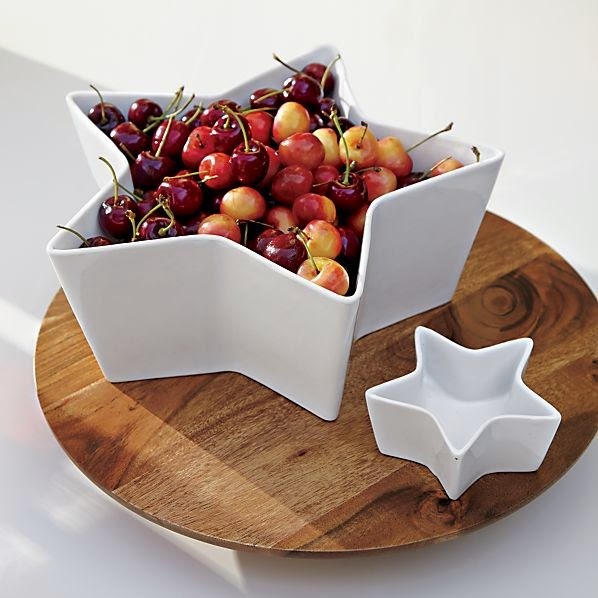 Layers well with our Lunea melamine dinnerware. 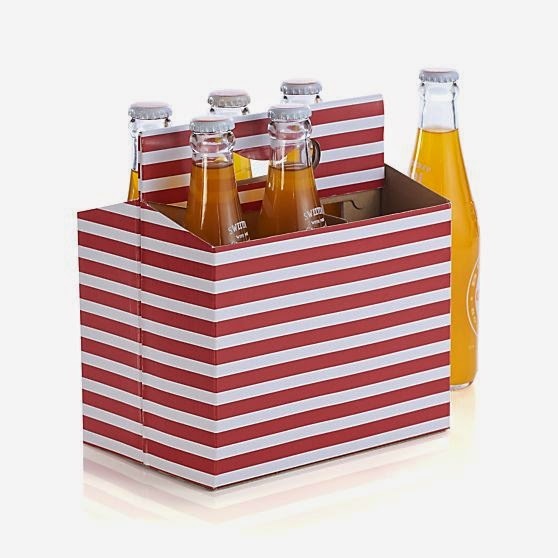 Awning Stripe Paper Beverage Caddy ~ Red and white partner in summery stripes to host a mixed six-pack of your favorite microbrews or soft drink combo. 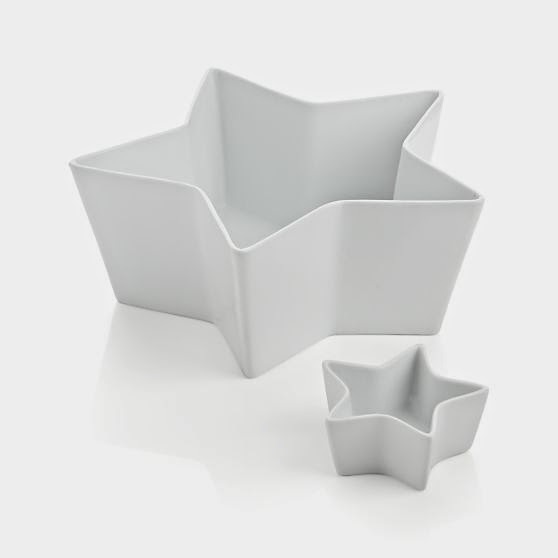 Reusable paper beverage caddy folds flat for easy storage. 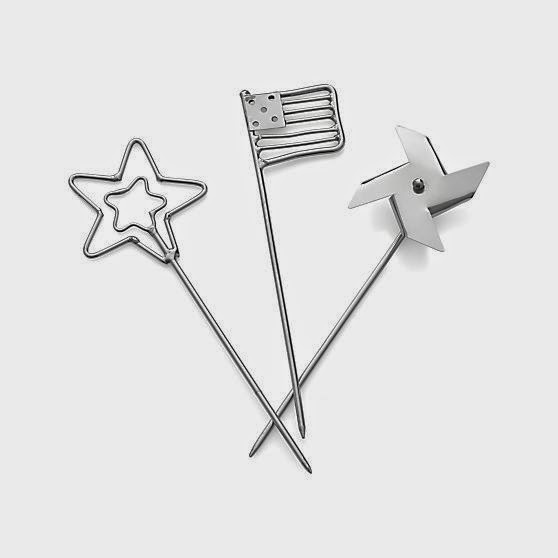 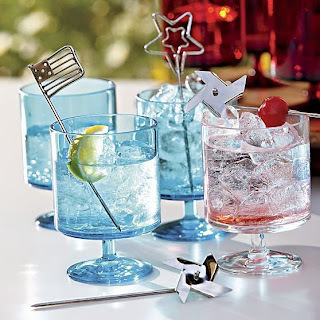 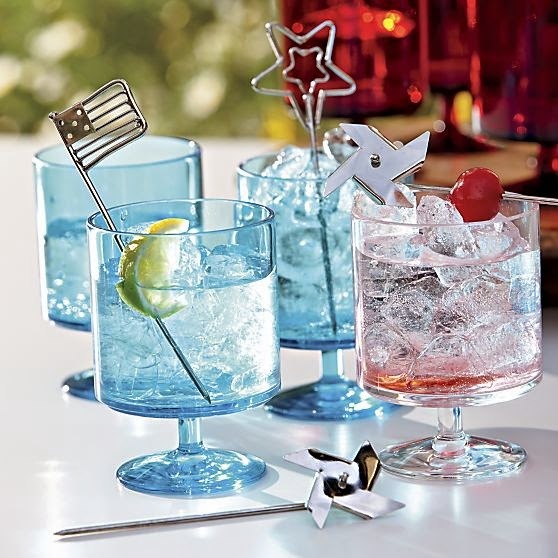 Flag Cocktail Pick ~ These crafty, four-inch cocktail picks with fun tips on stainless-steel picks spear small bites or cocktail garnishes with playful attitude. 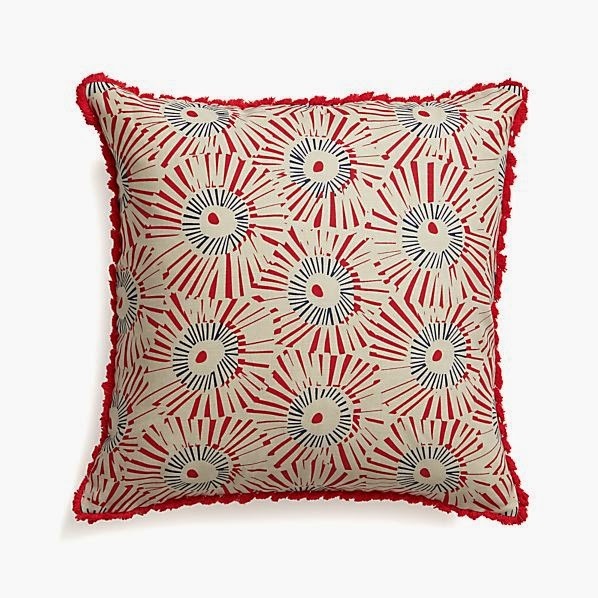 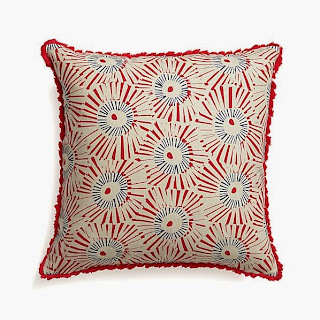 Fireworks 18" Pillow ~ Put the red, white and blue on festive display in feathery chrysanthemum bursts backed by crisp yarn-dyed multi-stripes. 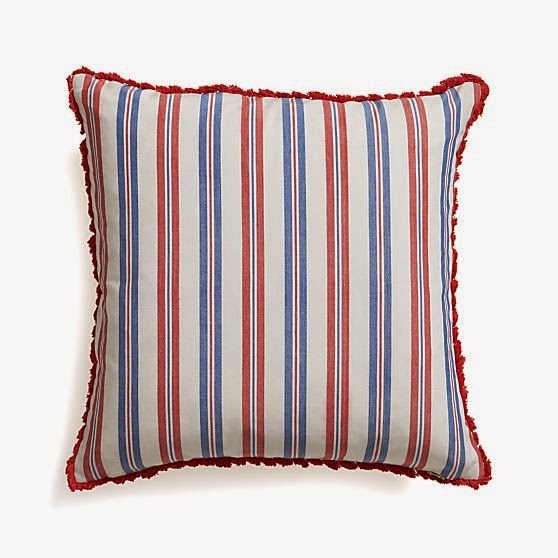 Add a vintage tufted trim broader for a classic, summery look. 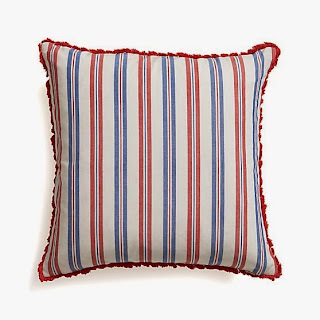 Our decorative pillows include your choice of a plush feather-down or lofty down-alternative insert at no extra cost. White Star Pretzel Bag ~ Crispy star-shaped pretzels are enrobed in white confection and sprinkled with festive, multicolored nonpareils for sweet 'n' salty snacking. 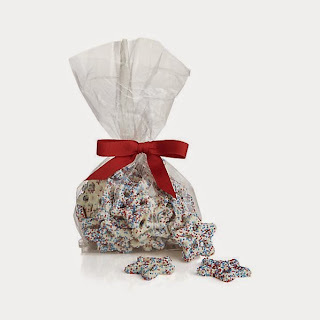 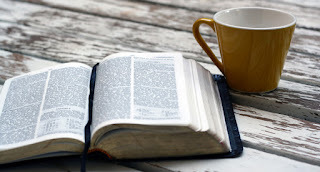 The Long Grove Confectionery first began making our delicious chocolates and confections by hand in 1977 in a small kitchen in their family-owned candy shop in a little red schoolhouse in the historic village of Long Grove, Illinois. 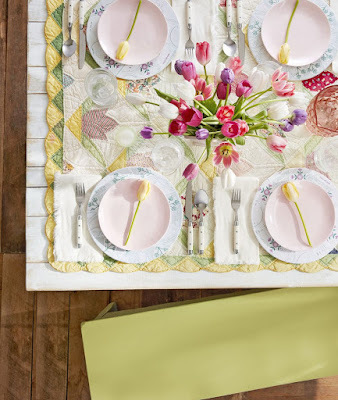 More than 35 years later, we're still sweet on their highest-quality ingredients. 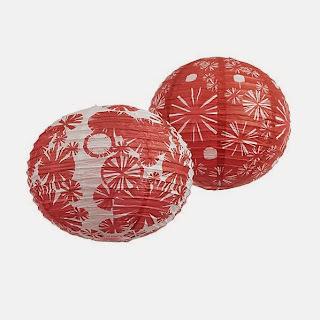 Set of 2 Patriotic Paper Lanterns ~ Paper lanterns unfurl to display our exclusive fireworks design, patterned in modern, geometric fireworks in red and white. 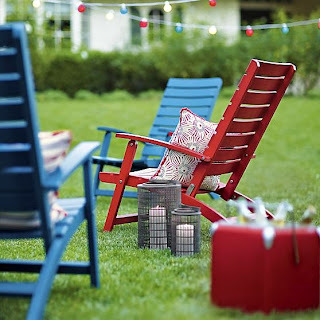 Lanterns collapse flat for easy storage. 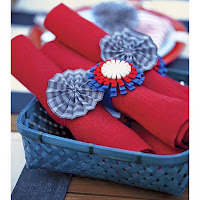 Fireworks Napkin Ring ~ Laser-cut felt starbursts radiate red, white and blue in our festive napkin rings. 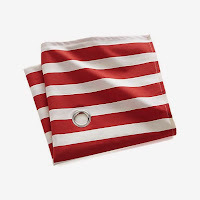 Pair with white or our seersucker napkins. 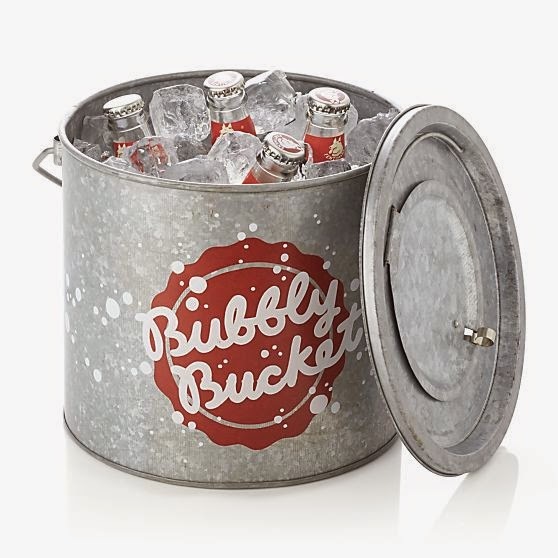 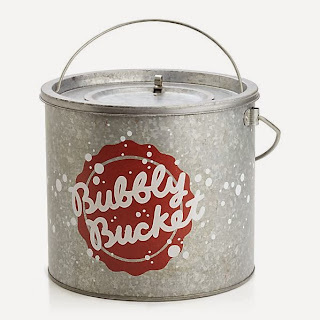 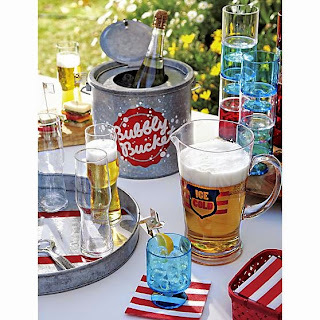 Bubbly Bucket ~ Inspired by a minnow bucket, this down-home cooler has no pretensions about putting the chill on any kind of bubbly--sparkling wines, lager beers or soda pop. 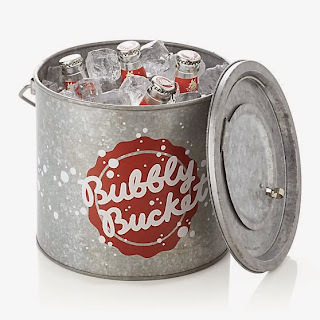 Open the small center lid to chill one bottle of wine or lift off the larger lid to keep more bottles on ice. 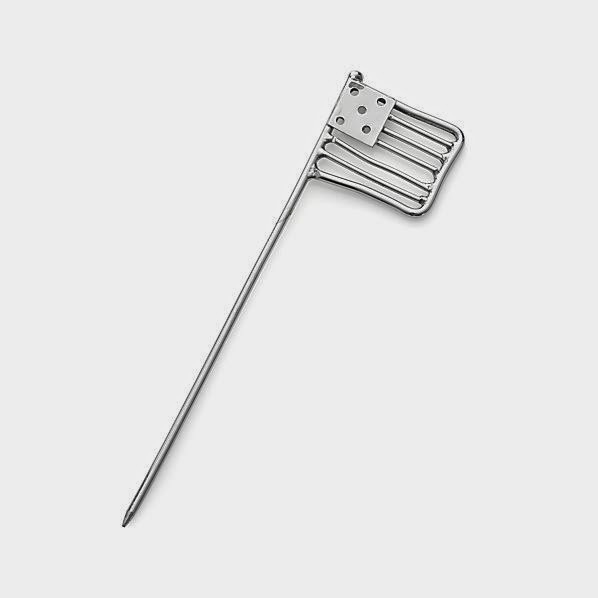 Just pick it up by the handle when its time to head off to the picnic. 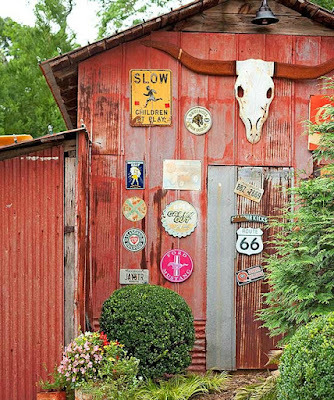 Decorated with a big colorful decal to set the laid-back mood. 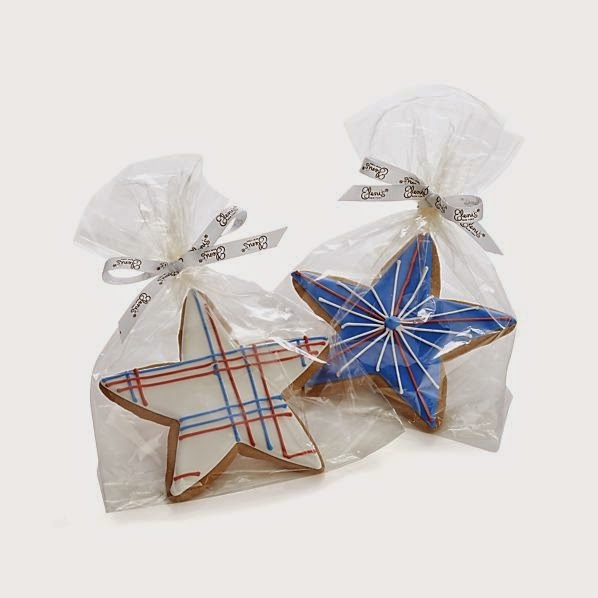 Eleni's Star Cookies ~ Eleni's artisanal star cookies are baked from scratch and hand-decorated in layers of color and texture, one cookie at a time. Each of these artisanal treats with red, white and blue frosting is individually bagged and tied with a signature Eleni's bow. 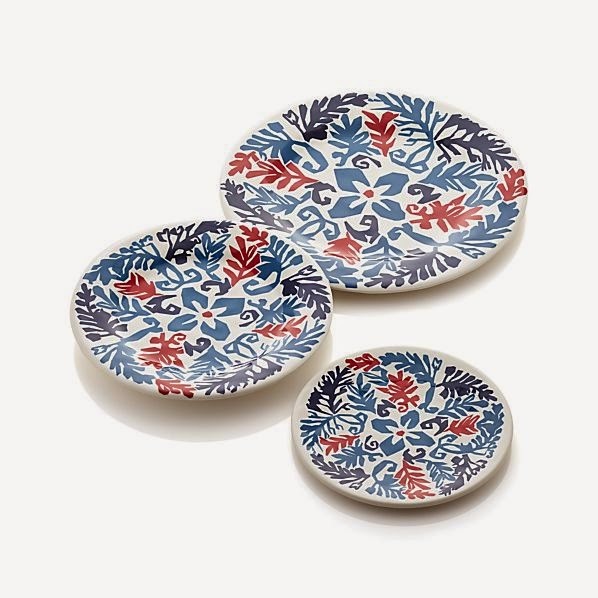 Almost too beautiful to eat, Eleni's playfully decorated sugar cookies have been a favorite of New Yorkers since 2007 when founder Eleni first set up shop at Manhattan's Chelsea Market. 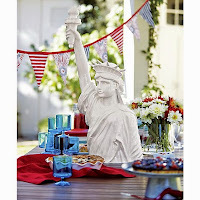 Her custom cookie creations are made in a 100% nut-free environment and are certified kosher. Star Bowls ~ Festive stars in glossy, thick-walled white porcelain shine when serving salads and snacks for all occasions. 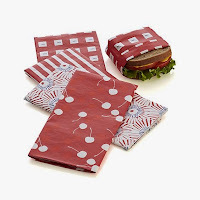 Set of 24 Sandwich Papers ~ Wrap sandwiches in a graphic update on the traditional wrapper with our assortment of fun, nostalgic and patriotic papers. 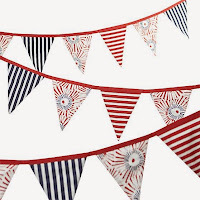 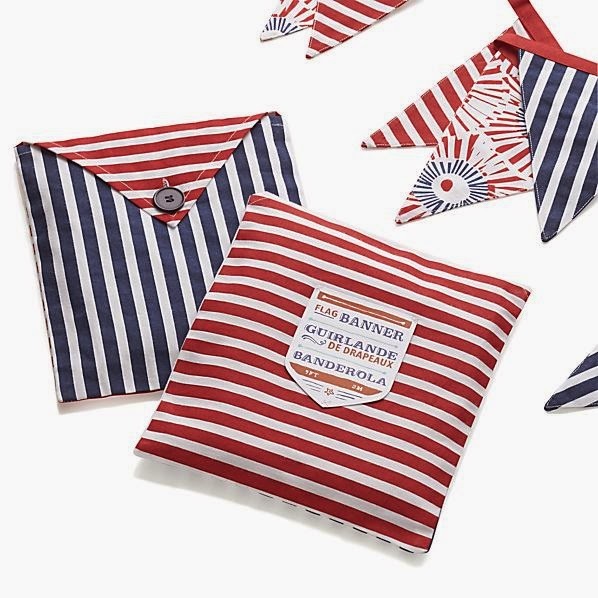 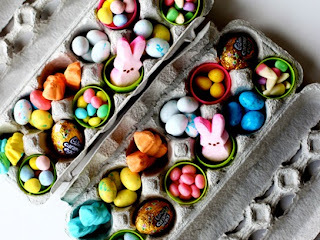 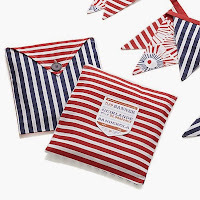 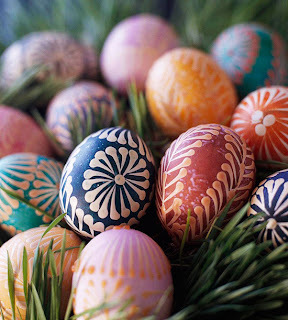 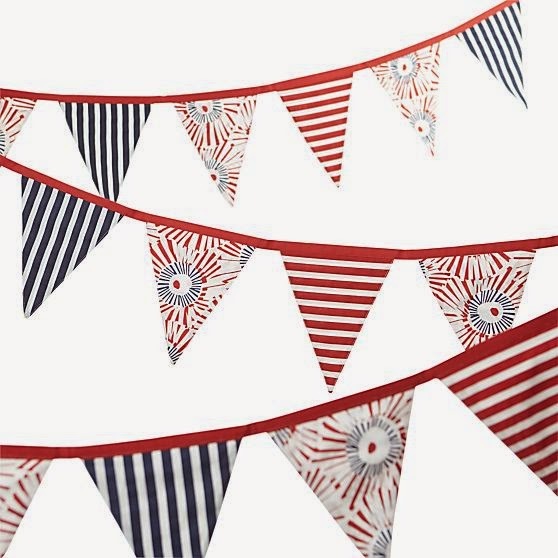 Patterns include cherries, red checks printed with our whimsical ants, red stripes, and red, white and blue fireworks. 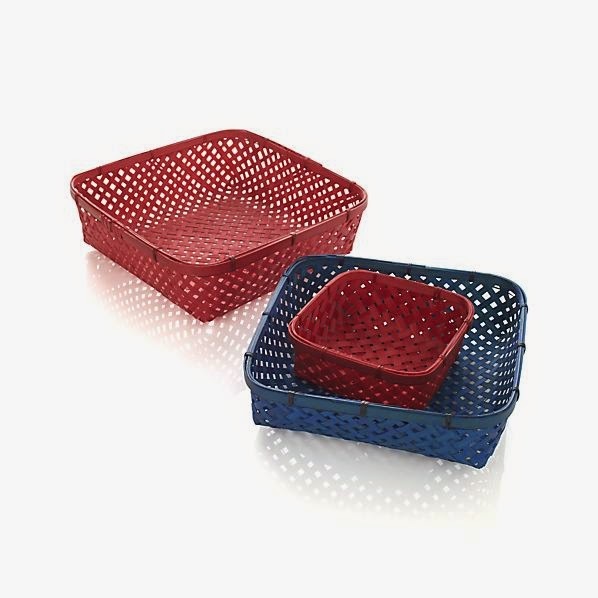 Serving Baskets ~ A colorful addition to summer get-togethers, our woven bamboo baskets are both sturdy and festive.